BlankBottle, Pieter Walser: BlankBottle The Bomb � The BlankBottle The Bomb is a blend of Cabernet Sauvignon and Merlot.Ripe, berry, dense, full.... everything. "clothes maketh not the man" - judge this wine purely on taste Absolutely spectacular! 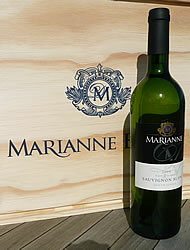 https://www.weinbaule.de/red-wine-south-africa-blankbottle-the-bomb-p-1767.html?osCsid=f694e3ad7e806625665a0a44f0b3bcfe"> Wine 24.99 6009801547152 WeinBaule.de | The Home of Wine BlankBottle, Pieter Walser New In stock!